Two new wonderful recipes for your Thanksgiving dinner. 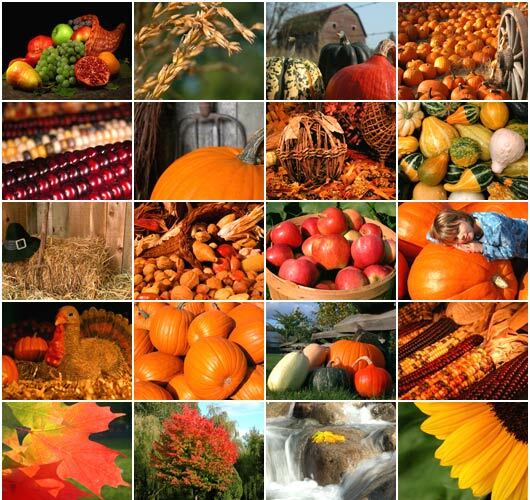 Enjoy and remember to give thanks everyday. Wash the potatoes but don't peel them. Take a fork and poke holes on both sides. Put them in a microwave safe dish (no more than two at a time). Cover them with a wet paper towel and set your microwave to Fresh Vegetable, under baked potatoes, and let the microwave due the cooking. Check to see if they are done with a fork about 8 to 10 minutes into cooking. Re-wet the towel if necessary.Cooking time will depend on the size of the potato. I would cook no more than 20 minutes in the microwave. Let potatoes cool down.Cut the mushrooms, chives, and onions in order to saute them in EVOO for topping of the potatoes.Heat pan with EVOO, add garlic, Vege-Burger, and seasonings. Add the tomato sauce and the cup of water. Cook for 10 minutesand taste for seasoning.Slice the potatoes down the middle but not all the way. Take a fork and start mashing the filling inside of the potato. Add butter or margarine and top with cooked Vege-Burger sauce. Top that with onion, mushrooms, chives, and cheese. Wash yams, peel, and dice them into 1 inch cubes. Put them into the baking dish. Sprinkle spices, both types of sugar, and drizzle with pancake syrup. Cut pieces of the stick of butter and spread them around the yams. Mix all together until the pieces are covered. Put in the oven at 375 degrees. Bake until the yams are fork tender. She is also a vegetarian by default. Are you too Smoothy for a Smoothie? 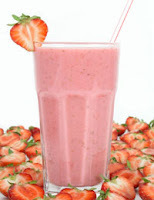 The origin al meaning for the word smoothy or smoothie dates back to the early 1900's meaning a smooth-tongued person. The word smoothie evolved in the 1960's when there was a resurgence in the United States in macrobiotic vegetarianism. Health restaurants adorned the idea with popular fruit juice smoothie in their menus. The word smoothie didn't really become generic until Smoothie King of Kenner, Louisiana made the word a household name. Although he didn't invent the word smoothie he refers it to the first time he heard the word back in the late 1960's to fruit and fruit juice based drinks made by the "Hippies". My girlfriend always called me a smoothy but I never really knew what she meant by that. I always thought it meant I was yummy. Become smoothy like me and try this smoothie recipe. Introducing recipe contributor RecipeMatcher. Their specialty is to find delicious recipes based on the groceries you have at home. Visit RecipeMatcher website for fantastic recipes.